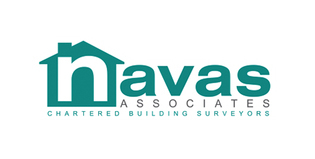 Navas Associates provide construction project management services for commercial clients. We can work with your architectural and build team in whatever way you choose. If you are planning a major construction project and are a professional property developer, run your own company or are a buy-to-let residential landlord or a commercial landlord we can help. We believe that effective project management is an essential part of every successful commercial building project. Setting and keeping to the timescale, controlling the construction budget and ensuring the building work is finished to the correct quality and specification is crucial. Our contract administration services are available for your clients should your workload or the project location mean your practice needs additional resource. We offer a variety of service levels with varying onsite visit frequencies to meet the needs and budget of each client. NAVAS ASSOCIATES can provide CDM Principal Designer services for your home renovation, extension or new build construction project. CDM Principal Designer services are now a key part of any significant building project. The new regulations cover the health and safety side of your building project. As your project manager, we can help ensure that you have all the health and safety needs of your building project covered. 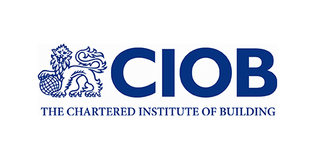 It is a little-known fact that in April 2015 the CDM (Construction Design Management) regulations changed. This means that a CDM Principal Designer is required on all domestic building projects. 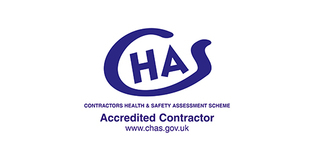 The new regulations mean that as a home owner who is undertaking building work, you have the responsibility to ensure that no-one is harmed during the work and that your building is safe to use and maintain in the future. That means you are have to appoint a CDM Principal Designer. WHAT DOES A CDM PRINCIPAL DESIGNER ACTUALLY DO? A CDM Principal Designer plans, manages and coordinates the safety elements of the planning and design work, and how it applies to your home’s construction project. They co-ordinate and share information rather than generate technical information. CDM Principal Designers are not Health and Safety experts nor architectural designers. Instead they evaluate safety risks and establish a project procedure for safety. It is important that you appoint your CDM Principal Designer for your building project as early as possible. They can then help you gather information about the construction works and ensure that your architects or designer has done all they can to check that your new home, extension or renovation works can be built safely. Assist you in identifying, obtaining and collating the pre-construction information – this might include known site hazards and a plan of how the build will be managed. Provide pre-construction information to architects or designers, the principal contractor and contractors. Ensure that designers comply with their duties and co-operate with each other. 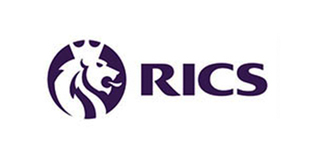 Liaise with the principal contractor for the duration of the appointment. Prepare the health and safety file. WHAT RISKS SHOULD YOUR ARCHITECT OR DESIGNER HAVE CONSIDERED? Most large building projects are complex and involve the use many different trades on site. There are types of activities that are particularly high-risk. The role of the CDM Principal Designer is to understand these types of risks and give them careful thought. This ensures that the activities throughout the building works will be carried out safely by all involved. Working at height, on ladders or scaffolding, roofs or platforms and excavations. This includes both the process of creating them and ensuring that no one can fall from, or into them. Supporting structures. The potential collapse of structures means that any support must be installed by someone competent to do so. Electricity. Any type of involvement with cabling or power during the building works. Hazardous materials. The removal of asbestos or other contaminants from the site. Machinery. The use of forklifts, diggers or cherry pickers for both deliveries and construction. DO I HAVE TO APPOINT A CDM PRINCIPAL DESIGNER FOR MY BUILDING PROJECT? If you don’t appoint a CDM Principal Designer, you will be responsible for the things that they should have done. The aim of the role is to prepare the Pre-Construction Health and Safety Plan to pass to the Principal Contractor (your main builder) and brief him on the contents. Health and Safety information relating to design for construction and future use. Identification of unusual, significant or hard to manage risks. A list of key assumptions made during the design process. Any information about phased handovers. The role of the CDM Principal Designer usually continues through construction unless you specifically request in writing that you want the responsibility is to be taken on by the CDM Principal Contractor. The role of the Clerk of Works on site is to ensure that the building is built in accordance with the approved drawings, the agreed specification and the building standards. With large scale projects Hardies provide Clerk of Works Services from the commencement of works on site to the end of the defects liability period. 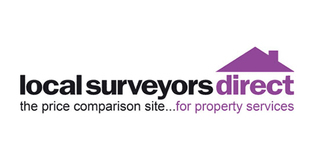 We also carry out single defects inspections for latent or hidden defects or pre-occupation inspections if required. Navas Associates has extensive experience is designing and building projects through the development of design briefs, employers requirements in line with the procurement route advised and selected by the client. 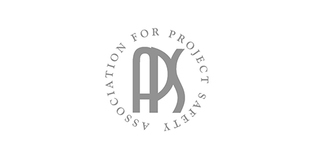 We utilise design associates to assist us in developing drawings and specifications taking into account the client brief and developing a design that is buildable, cost effective and meets the project objectives in terms of high-quality building projects that are sustainable, functional and contribute to the built environment. We can offer your clients a flexible, bespoke approach with full or partial project management support. We can project manage via a main contractor or trade-by-trade approach. In the latter case, typically the client employs the tradesmen directly and we provide control to keep the project on track. This is a non-standard approach but allows some projects that would otherwise be over-budget to proceed where they otherwise wouldn’t. Naturally, we remain independent of all tradesmen providing protection to the client in terms of time, cost and quality. Read more about our project management services by following the link below.